I’ve recently returned to the office following a month long trip to Tanzania and what an experience it’s been! I was extremely lucky to have been given the opportunity to complete a community work project with Jersey Overseas Aid, in partnership with Raleigh International. Our project was in a village called Mkamba which is situated in the Morogoro region of Tanzania. 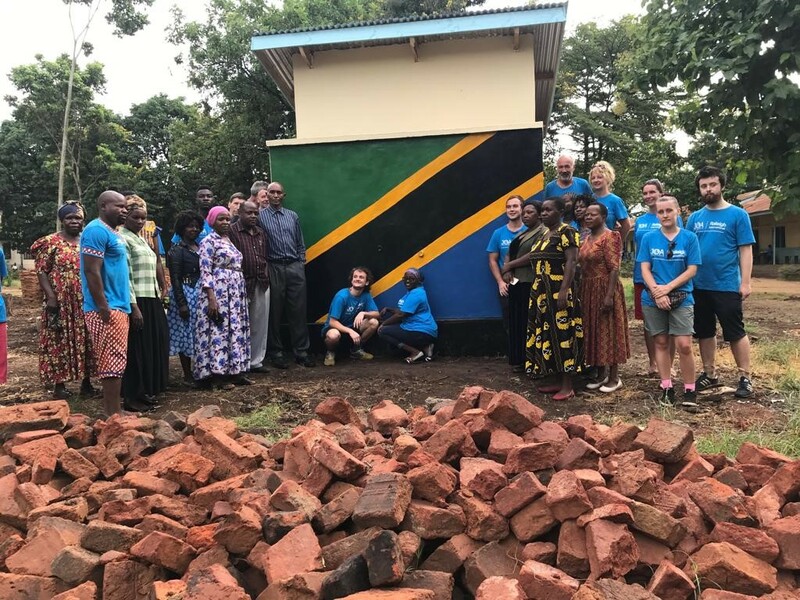 We assisted with building teachers toilets for the local primary school, alongside teaching lessons on handwashing and food hygiene to the children. When we first arrived in the village it was a Saturday, the school was closed but within seconds we were surrounded by a crowd of children eager to welcome us to their home. The time then came to meet our homestay families and see where we would be living for the next few weeks. My homestay family were animal mad, cows, pigs, chickens, ducks, dogs, cat… you name it, they had it! We even had a cockerel that woke me up every morning without fail, no alarm clock needed. Monday then came and it was time to get started, we met the Fundi (Builder!) that would be working on the project with us and the teachers from the school. 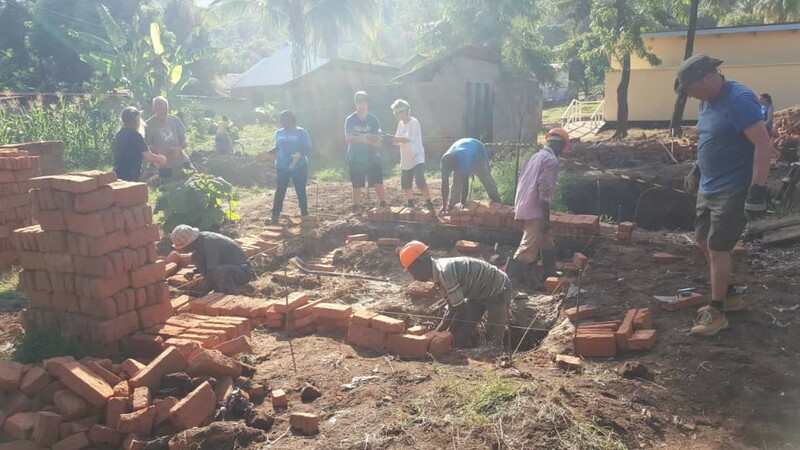 Prior to us getting there a huge delivery of bricks had come in, our first task was to clear them out of the way so the foundations could be laid. If anyone needs anything help moving and stacking bricks you know who to call! Over the next few days the structure went up at super speed and before long it was time to start rendering the walls, whilst the Fundi make it look like the easiest job in the world, believe me it’s NOT! In the meantime we were also starting to teach our lessons. The lessons we created were around the importance of hand washing where we played games to show how quickly germs spread. There is also a handwashing song that all of the children know and LOVE to sing. I also got the chance to teach a lesson with the children from nursery which was by far one of my favourite moments of the trip. On the last weekend we held our action day which is a fete that the whole village is invited too. 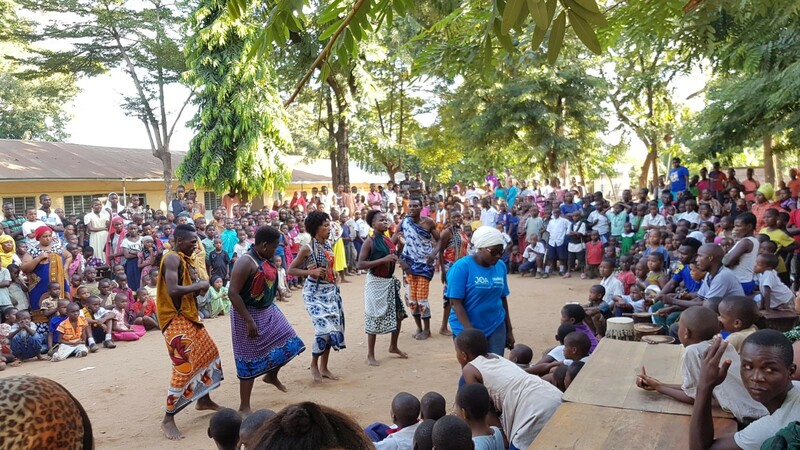 We organised lots of games including a tug of war and hand washing race, the school SWASH club performed a dance and play, we even had a local dance group that performed a couple of traditional dances. The atmosphere was unlike anything I’ve ever felt before, the whole community came together and it was a day full of fun and laughter. It had me reminiscing about the school disco’s that I went to years ago and how everyone used to stand around the sides shy and scared to dance, that’s not the case for these children! The first beat of music and they’re all up there showing off their best moves. Before long we were down to our last couple of days in the village and all that was left to do was to paint our murals. At one point it felt like they might not be completed in time but everyone pulled together and they were finished right on schedule. On the last morning we went to school early so we could say our goodbyes to all the students and teachers we had met over the last few weeks. I’d be lying if I didn’t say leaving the village was hard, after spending so long there and building relationships I didn’t feel ready to come home! 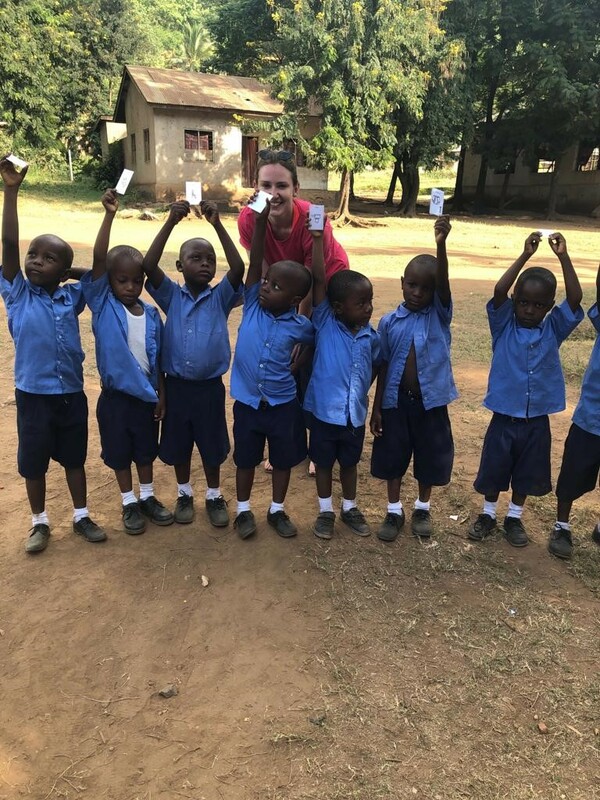 Volunteering abroad is something that has been on my to-do list for a very long time but I wasn’t previously in the position to be able to do it. Fortunately, I now have really supportive employers who encouraged me to take the opportunity and accommodated the time off that I needed (Thank you Park!). 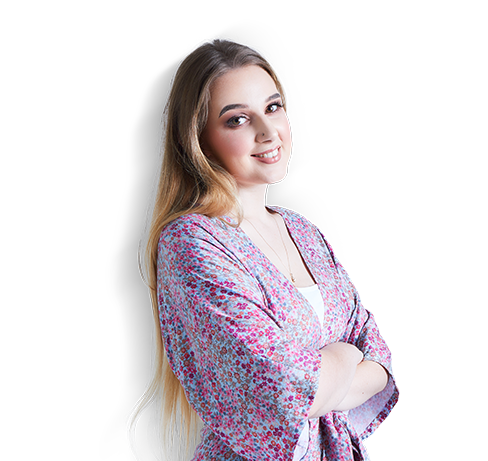 If completing a voluntary project is something you’re interested in I highly recommend talking to your employer to see if they can support you. For me it’s been an experience of a lifetime that I won’t ever forget, I’ve experienced an entirely new culture and learnt to appreciate the smaller things in life a million times more. Bring on the next adventure!